books and accessories focus on the core rules of the game, expanding player character options and helping Game Masters run engaging adventures and campaigns. These expansive, beautifully illustrated volumes focus strictly on rules and options, making them suitable for use with any campaign setting. provides a complete campaign in the course of six monthly installments. Each 96-page full-color softcover volume contains a huge adventure, ecology and statistics for several new monsters, support articles like city and regional gazetteers, short fiction, and more. provide a huge variety of short adventures every other month. From the forbidden hallways of a pharaoh's tomb to a lofty cloud giant citadel, Pathfinder Modules span a wide variety of themes, locales, and difficulty. books and accessories explore the fantastic world of Golarion, the official backdrop of the Pathfinder RPG. Inspired by the legends and history of the ancient past and the promise and danger of sword and sorcery literature, the Pathfinder world presents a rich and diverse tapestry of fascinating cultures and deadly environments. supplements give players the edge to survive the dangers of the Pathfinder world. Each monthly sourcebook provides an in-depth look at one aspect of Golarion, from an exhaustive overview of a player character race like elves or an exploration of an influential kingdom like Cheliax or Andoran. Each supplement contains plenty of new rules like feats, traits, or equipment designed specifically with players in mind. 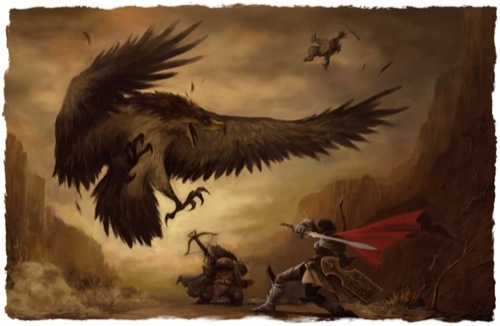 novels and serial web fiction explore the stories and legends of the heroes of Golarion. Written by best-selling masters of sword and sorcery and the creators of the innovative Pathfinder gaming lines, these exciting adventures provide a new perspective on the Pathfinder world while providing hours of reading enjoyment. is a constantly evolving mega-campaign played by thousands of players around the world. Players create their own members of the Pathfinder Society adventuring guild, setting off on short missions to explore the mighty city of Absalom or a huge variety of exotic locales throughout the Pathfinder world. The actions of Pathfinder Society players create an ongoing storyline, with several new adventure scenarios released each month! are available in several different formats, including: Reaper's unpainted metal Pathfinder Miniatures and WizKids' prepainted plastic Pathfinder Battles. are sturdy double-sided cardboard gaming tokens held upright by a plastic base scaled to a 1-inch grid. Featuring beautiful color art from Paizo’s award-winning Bestiaries and Adventure Paths, Pathfinder Pawns work great with miniatures and add an exciting new dimension to your campaigns. contain 20+ pages of story, plus bonus gazetteers, character guides, and pull-out encounter maps designed for use with the Pathfinder Roleplaying Game! The world of Pathfinder comes alive every month in brand-new comic books produced in cooperation with Dynamite Entertainment. is a cooperative game for 1 to 4 players (up to 6 players with the Expansion Set). As you explore and overcome challenges, you'll improve and customize your character deck by acquiring new items, allies, weapons, and more. Bimonthly 110-card Adventure Decks extend the storyline that begins in the nearly 500-card Base Set box. Don't miss Munchkin Pathfinder, from Steve Jackson Games! We offer subscriptions to several of our Pathfinder product lines. Learn more about them!